The old familiar HUD 1 is gone! Things will be different when you go to close your real estate transaction after October 3, 2015. Specifically, there are rules that amend components of the Truth in Lending Act (TILA) and the Real Estate Settlement Practices Act (RESPA) that have been in effect for more than 30 years. The new rules fulfill a Dodd-Frank Act requirements will combine the two sets of disclosures that consumers receive under the Truth in Lending Act and under the Real Estate Settlement Practices Act in connection with applying for and closing on a mortgage loan. The new 3 page Loan Estimate replaces the existing Good Faith Estimate (GFE) and the early Truth-in-Lending (TIL) disclosures Must be sent to Borrower within 3 days of application. The new 5 page Closing Disclosure replaces the Housing and Urban Development (HUD-1) settlement statement and the final TIL statement Must be sent to Borrower 3 business days before consummation (in GA the closing). The CFPB refers to the new disclosure forms referenced above as the “Know Before You Owe” disclosure forms that the consumer must receive 3 days in advance of making key decisions, so they have time to process the deal (terms and conditions) before signing on the dotted line. However, this same “3 day waiting period” can also be the cause closing delays if rules and deadlines are not adhered to and changes are made too late in the process! Certain substantial changes can require new disclosure documents to be issued from the lender – and another 3 day waiting period, which can really mess with your plans in a big way! UPDATE: The CFPB has recently clarified that certain small changes within a few days of closing, such as the buyer needing to bill the seller a $500 repair cost as a result of findings at the final walk through, will not trigger a required new 3 day waiting period. It’s all about accuracy and timing. 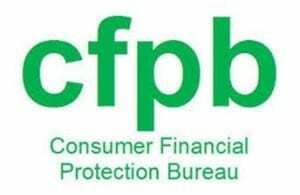 The Consumer Financial Protection Bureau’s whole purpose is to ensure that consumers get the information they need to make the financial decisions they believe are best for themselves and their families. The changes being brought about by the CFPB’s proposed rule integrating mortgage disclosures, service provider bulletin, and the ability-to-repay/qualified mortgage rule should all turn out to be positives for you. Of course, as with any large-scale change, there will be a learning curve for both you and the companies you’ll interact with in the new mortgage lending environment. It will now be paramount that all parties agent, buyer, lender, and closing attorneys make a diligent effort to timely respond and forward the necessary documents on time and ideally ahead of time, to assure a smooth and successful closing. This entry was posted in Uncategorized and tagged CFPB TRID Rules, Know Before You Owe rules, New Closing Disclosures, New TRID rules by admin. Bookmark the permalink.